I am working on a paranormal romance series titled the Immortal Savior Series. 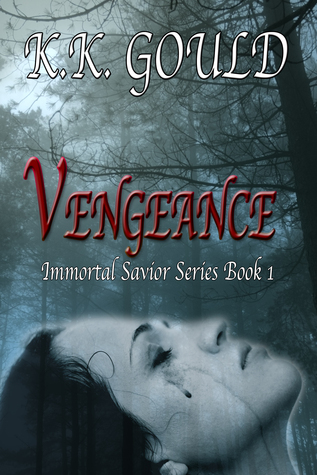 Book 1 Vengeance was released March 13, 2015. It’s available in ebook format on most vendor sites. Paperback will be available in April. Book 2, Awakened is in the works and going well. I am also working on a novella featuring Shane and Layla. When I’m not immersed in Liza’s destiny I love spending time with my husband and two young kids. In Northern Michigan our summers are short but beautiful. We try to make the most of it by camping and being outside. I would really appreciate your reviews. Thanks for your support. This paranormal romance has something for everyone. Tragedy, hospital humor, sadistic psychopath and of course intense, passionate love. Eliza North has been living a quiet life. She works in a busy ER in Layton Michigan, but she has a secret. She’s an immortal hybrid with a horrific past. Her past is about to catch up to her, and a destiny is revealed. A destiny she’s not sure she can handle. Braxton Slater, an immortal bounty hunter, roars into Layton on a mission to catch a psychopath. The psychopath he’s been hunting for a century, and who murdered his mate. He arrives in Layton to put a beautiful female under surveillance in hopes of drawing out his quarry. The amazing female begins to revive his dead heart and he discovers he is still able to love. Can he keep her safe?